In 1851, when William Glenny and his father Samuel began their partnership as exclusive distributors of European window glass, specialty plate glass and small mirrors, they created a foundation for success that has lasted for over 150 years. 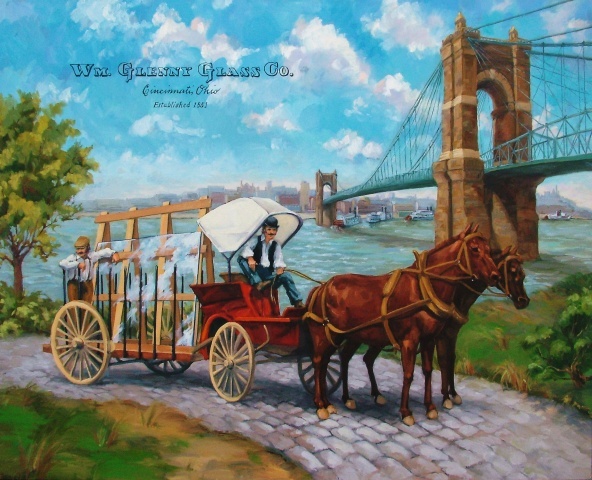 The horse-drawn wagon depicted here provides a glimpse of the early days of Glenny Glass. Back then, as now, every delivery included not just glass but the principles of doing business with honesty, integrity and service. Glenny Glass celebrates over 150 years in business, honoring the achievements of the past while moving forward to a prosperous future.